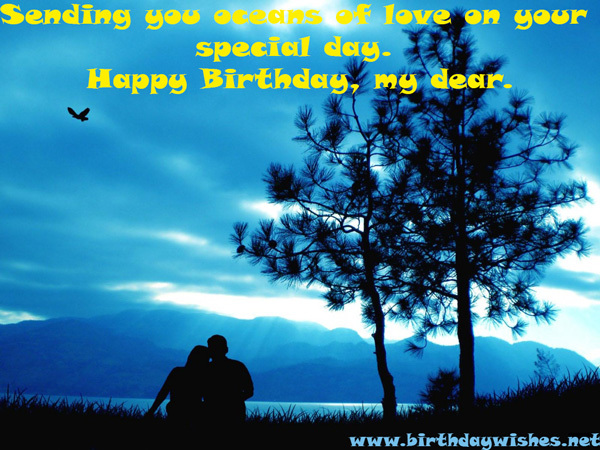 Sending you oceans of love on your special day. Happy Birthday, my dear. Falling in love with you was easy. Staying in love with you is easier. Happy Birthday. I am so glad that I can share this special day with my favorite person. Happy Birthday. If all of my dreams were to come true, I would love to keep sleeping, as you are in my dreams always. Happy Birthday. On this day, I want to assure you that you are the only one for whom I feel inside. I Love You. Happy Birthday. May you have all the success and achievement in your life. I will always be by your side. Have a wonderful day. Happy Birthday. I share a relationship with you that would only end with my life. You will stay my friend and lover forever. Happy Birthday to you. You are my dream in my sleep, the vision of my eye, the smile of my lips and the beat of my heart. Happy Birthday, my love. Hold 10 roses in your hand and stand in front of the mirror. You’ll see 11 roses among them; the most beautiful rose in the world is you, my dear. Happy Birthday. If I have the choice of living for just 2 days, I would wish you love me one day and the other day I love you. Happy Birthday. It’s always a treat to wish someone so sweet. Happy Birthday my dear. Happy Birthday my true love, your beauty stems from up above, Sweetest smile and kindest heart, like a priceless piece of precious art. I hope today you take some time out for yourself and enjoy each moment of your special day in ways that you like, and have faith that the year ahead holds much more happiness and joys. 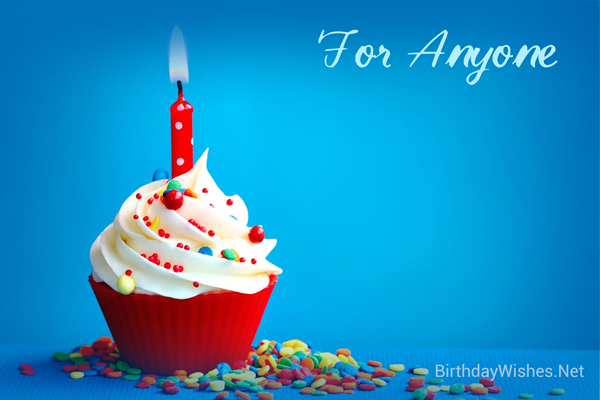 May everything happy and everything bright be yours on your birthday from morning till night, and then throughout the year. May the same hold true so that each day is filled with life’s best things for you. My dear love I am so very glad, very glad I’m here. Happy Birthday, my love. Happy Birthday, my dear. Mountain, rain or summer heat, you are the reason why I breathe, something stays with me always, is that you or your heartbeats. Happy Birthday sweetheart. Blow out the candles, play the music, sing and dance all your foes away. You are the superstar of the day. Happy Birthday sweetheart. Some things are left undone, some words are left said, some feelings are left unexpressed, but someone as nice as you could never be left unwished. Happy Birthday. Roses are red, violets are blue, honey is sweet, just like you. Happy Birthday to you. The most ideal scene on your birthday is when we are alone sitting in candle light and cutting your birthday cake with both our hands, I wish to go on looking at you throughout the night. Happy Birthday to you.